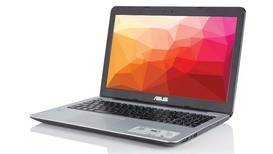 Laptop computers have their advantages in portability and flexibility of use. You can usually add a second screen if you want a larger screen, the majority of laptops have a 15.6” screen or smaller. Screens up to 17” are available on laptops but these a expensive as a rule. If you use a laptop a lot at home it may be worth getting an external keyboard and mouse they offer better position options to reduce strain on your wrists. Laptops tend to flat rather than tilted keyboards. Every laptop is unique in terms of design with components squeezed into tight spaces. This makes repairs much more difficult and the replacement of a simple part can mean the whole laptop being stripped apart. If you want something you can use anywhere with inbuilt WIFI then a laptop is the best option for you, although tablets would be another option to consider. Laptops use smaller hard drives and in some cases solid state drives which are more expensive but have no moving parts. However, we have seen a surprising number of these fail on very new machines. You can get some laptops which transform into tablet computers but these tend to be more expensive. Look out for disk storage capacity, smaller laptops have small solid state hard drives and rely on cloud storage. Carrying laptops about does increase the risk of damage.